You want computer training? No problem, We can help. 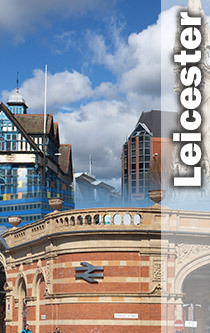 Come to one of the training centres we use in Leicester. Or if you prefer we can come to you. A computer training course in Leicester could be just what you need to get you or your employees up to speed on the software you already have or that you are planning to purchase. Take time to parouse through the outlines then when you're ready contact us to see how we can help. "A very informative & beneficial training session... Trainer was professional, courteous & knowledgeable" "Enhanced my knowledge of the system" "Very enjoyable day" "Clear, enjoyable, pitched well & good pace"